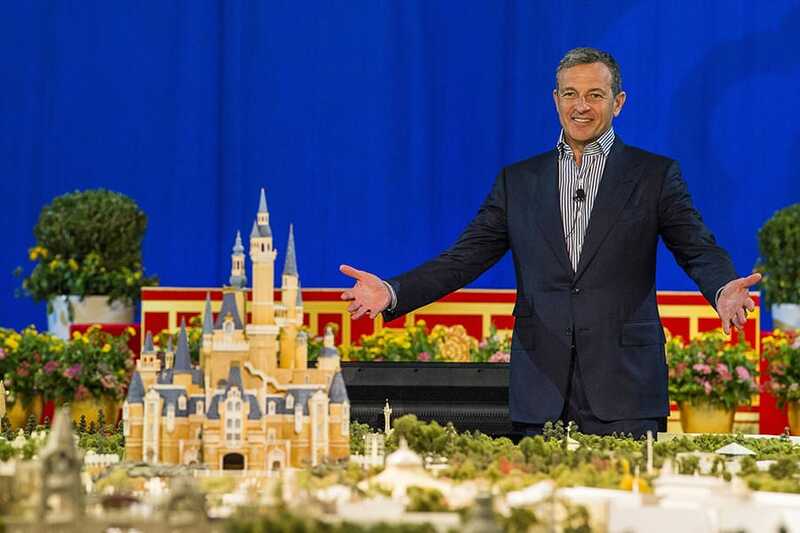 Just a few minutes ago in China, Disney chairman and CEO, Bob Iger unveiled new, exciting details on Shanghai Disney Resort, the area’s first Disney destination, and the six themed lands planned for the Shanghai Disneyland theme park. 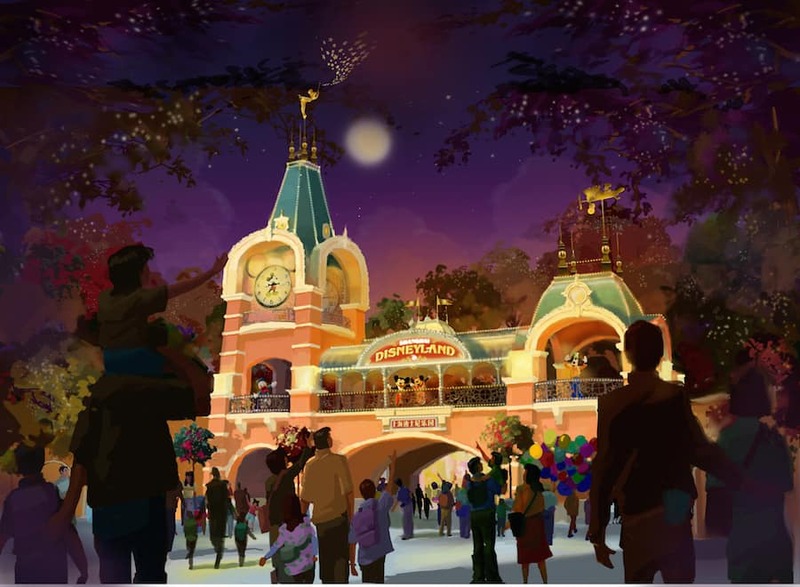 Shanghai Disney Resort will be a world-class family entertainment destination that blends the magic of Disney and the cultural spirit and beauty of China. And during a special event that included Disney COO Tom Staggs and Walt Disney Parks and Resorts Chairman Bob Chapek, Bob Iger shared a peek at what the Resort will look like with the unveiling of a spectacular scale model showcasing its two hotels, Disneytown – its international shopping, dining and entertainment district, Wishing Star Park’s beautiful gardens and six themed lands of mainland China’s first Disney theme park – Shanghai Disneyland. At Shanghai Disneyland, Disney stories will come to life at the tallest, largest and most interactive castle at any Disney theme park. The themed lands will offer something for everyone with live stage productions, world premieres and thrilling attractions ­­– many never seen before – that will appeal to guests of all generations. Guests also will be able to experience Disney characters in each land, including Mickey and his pals on Mickey Avenue and in Gardens of Imagination. In Tomorrowland, one of the six themed lands, guests will be able to experience the TRON Lightcycle Power Run, a new coaster-style attraction where riders board a train of two-wheeled Lightcycles for one of the most thrilling adventures at any Disney park. Fantasyland will be the largest land and home to the majestic Enchanted Storybook Castle that we’ve already featured here on the Blog. 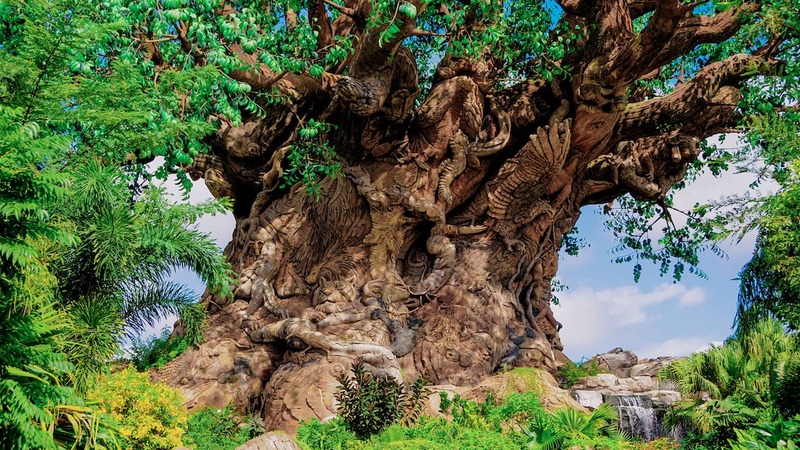 In this fairy-tale paradise, guests will float through familiar Disney stories on Voyage to the Crystal Grotto, hitch a rollicking ride on the Seven Dwarfs Mine Train and take flight over the skies of London on Peter Pan’s Flight. They may also explore the Hundred Acre Wood with Winnie the Pooh or follow Alice through a dazzling Wonderland maze. Treasure Cove – will be the first pirate-themed land in a Disney park. As guests explore this pirate world, they will enter Pirates of the Caribbean: Battle for the Sunken Treasure, an attraction that transforms a boat ride into a thrilling journey with cutting-edge innovations in robotics, animation, set design and multimedia. Adventurous spirits will be tempted to board a pirate ship, paddle through the scenic cove on Explorer Canoes and dine at Barbossa’s Bounty. Adventure Isle will immerse guests in a newly discovered lost world, filled with hidden treasures and a chance to explore its mysteries. The mighty Roaring Mountain will tower over guests and beckon them on their journey. Guests can blaze their own trails at Camp Discovery, travel around the world on Soaring over the Horizon, or embark on the thrilling rafting adventure Roaring Rapids, straight through the heart of Adventure Isle. There they discover the underworld realm of a mysterious, fearsome creature. Tomorrowland will not only include the TRON Lightcycle Power Run but also offer the chance for guests to go to infinity and beyond on Buzz Lightyear Planet Rescue, a new space ranger adventure, or break the bonds of gravity on Jet Packs. The land will feature a massive, color-shifting canopy near the TRON Lightcycle Power Run. Mickey Avenue will be the first main entry at a Disney park inspired by the colorful personalities of Mickey Mouse and his pals. In the neighborhoods of this welcoming, whimsical avenue, guests will share a hug and get a photo with some all-time favorite Disney characters. Avenue M Arcade, one of the many shops along the avenue, will feature the largest selection of gifts and collectibles inside the theme park. Gardens of Imagination will celebrate the wonders of nature and the joy of imagination, as guests leave everyday life behind to enjoy the seven whimsical gardens. Guests will take a spin on the Fantasia Carousel, soar on the back of Dumbo the Flying Elephant and enjoy the area’s iconic Disney entertainment, including Castle stage shows and “Ignite the Dream, a Nighttime Spectacular of Magic and Light.” From several places in this land, guests will enjoy “Mickey’s Storybook Express,” an exciting parade with its own musical soundtrack and colorful performers on the longest parade route in a Disney park. 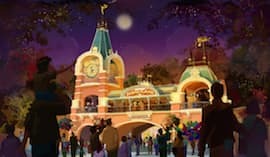 Since breaking ground in 2011, Disney and Shanghai Shendi Group announced that they were expanding the park by adding additional attractions and entertainment to allow more guests to have a spectacular Disney experience at Grand Opening in spring of 2016. 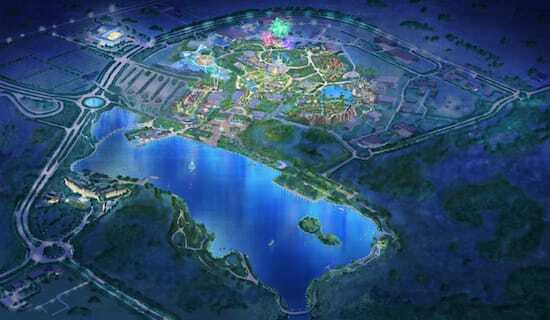 Stay tuned for more updates on Shanghai Disney Resort. It’s too bad the Tron ride wasn’t an awesome dark ride to make it more like the movie. The Tron coaster doesn’t seem like more than a covered, lit up Moto Coaster that any major park could have. The park does look very nice though. That Tomorrowland Tron LIghtcycle Coaster has me in a tizzy. PLEASE Disney powers-that-be, bring us this ride state-side. Looks amazing! Also can’t wait for expansion news for Disneyland Resort CA… hope it has lots of Disney/Pixar (animated) attractions as well as Star Wars and Marvel. Don– I agree! I’m especially looking forward to hearing about the expansion plans for Disneyland in California. Magical! Bob Iger is the prince charming of media corporations and the Walt Disney Company with the purchases of Pixar, Marvel, Star Wars and theme park expansions at California Adventure and Hong Kong – not to mention the TV, Interactive, and Consumer Products divisions. I hope Shanghai Disneyland has a successful opening and that he fixes Walt Disney Studios in Paris before he steps down as CEO in 2018. Can’t wait for D23 announcements for Anaheim and Orlando expansions! Tomorrowland reminds me of Xandar, the home world of Nova Prime. Will we ever see this kind of love for Tron at WDW? It is going to be AMAZING I was a little sad that there would be no Space Mountain, however it’s replacement makes me far more excited! Also, how likely is it, that we can watch the presentation? Looks great! This does not yet include the additional attractions/expansions they announced last year, correct? This is amazing, that video of Tomorrowland looks so good. I won’t be there day one, but within months of it opening, I will be there.